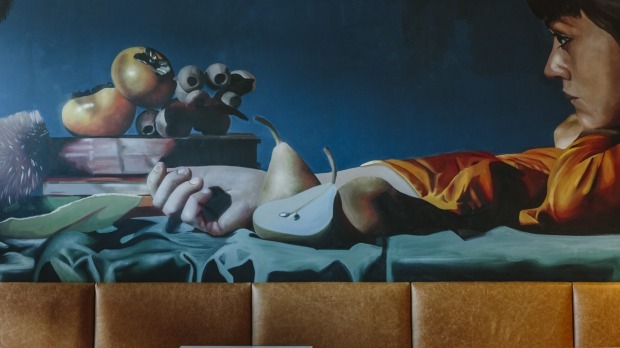 "They're putting dried flowers up on the ceiling," Sean Connolly says of the finishing touches being made to Bon Pavilion, the John Singleton-backed Gosford food venue with a $4 million interior opening on April 12. 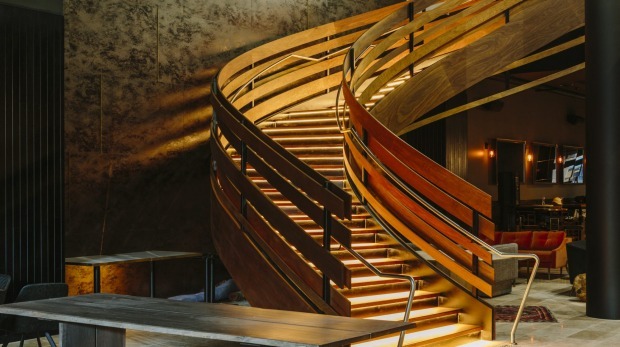 With a sweeping staircase that looks like something from the set of Gone with the Wind, it impresses even Connolly, who has opened restaurants from The Star in Sydney to operations in Auckland and Dubai. The Bon Pavilion isn't just a restaurant. It includes Bon Bon Espresso, the craft-beer and whisky-leaning Bon Bar, private dining-room cellar Bon Vin and the steak-and-oyster-touting Bonfire. "It's the biggest venue in Gosford," Connolly says. He has assembled an impressive crew for Singleton, with head chef Stephen Scott in possession of a glowing CV including Gordon Ramsay's Claridges and Maze Grill. "Tony Gibson (the former head chef at Kensington Street Social) is also up here helping out," Connolly says. 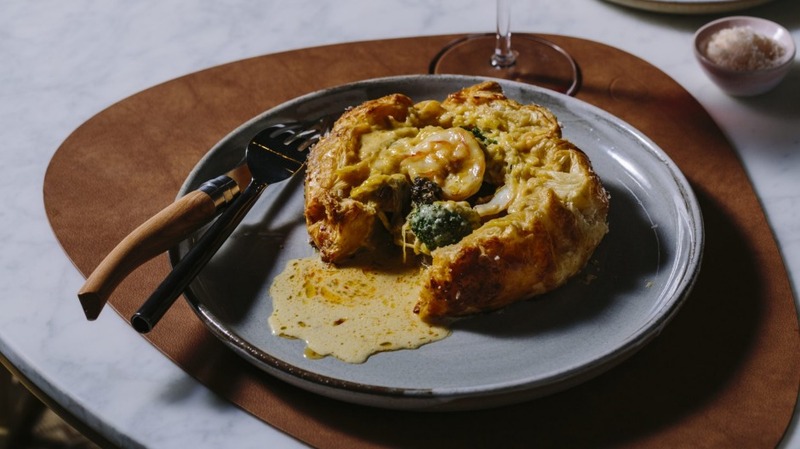 The menu has plenty of local seafood, included in a chicken and prawn pie. "We're also using [produce supplier] Newcastle Greens," the consultant chef adds. Artist Lisa King's mural offers a subtle nod to bird-loving owner John Singleton with a macaw perched on the shoulder of one of the subjects in the artwork. It's a big, bold project for Gosford. Housed in Singleton's Gosford development, Bonython Tower, Connolly says they settled on the more easily pronounced abbreviation, Bon: "Bonython isn't in people's vernacular." "There are new places opening here and the tax office is coming," he says. With Bon's 250 seats, hopefully diners will as well. 159 Mann Street, Gosford, thebonpavilion.com.au.